Look the part when you go off on your trip with this Luxury Travel Bag. Not only is it aesthetically pleasing to the eye but this bag features a spacious compartment suitable for both your clothes and valuables. 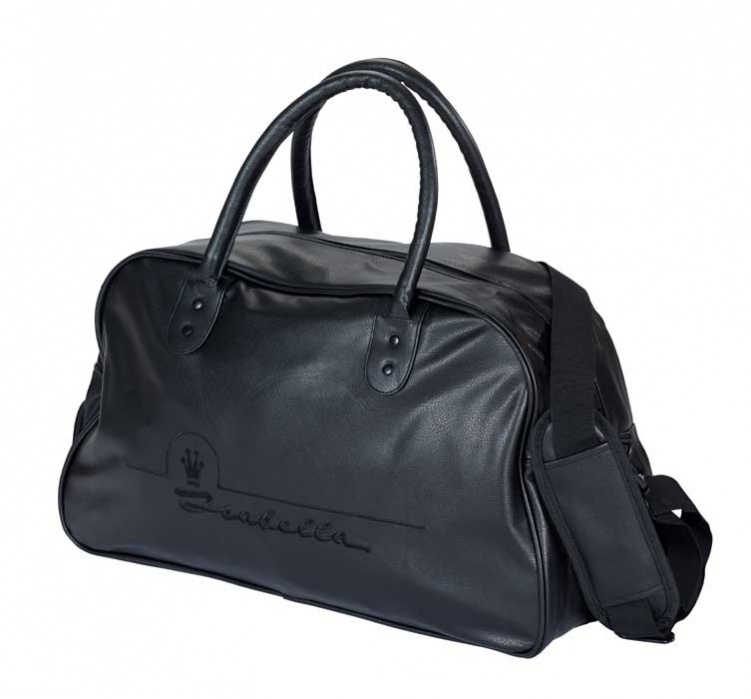 It is made of black synthetic leather, has good comfortable handles and a wide adjustable shoulder strap. Inside there is an internal mesh zipped pocket to keep those smaller bits and bobs safe and an internal compartment that is secured with a hook-and-loop strap. In the base, there is a separate zipped compartment that could be used for shoes or damp items like towels. The bag is finished off nicely with the Isabella logo across the side of the bag.